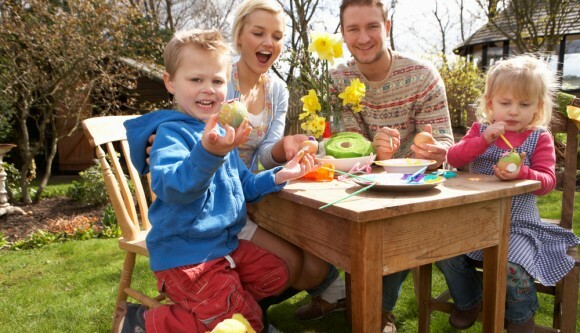 With Easter fast approaching, you might be thinking how to celebrate the Easter Sunday. 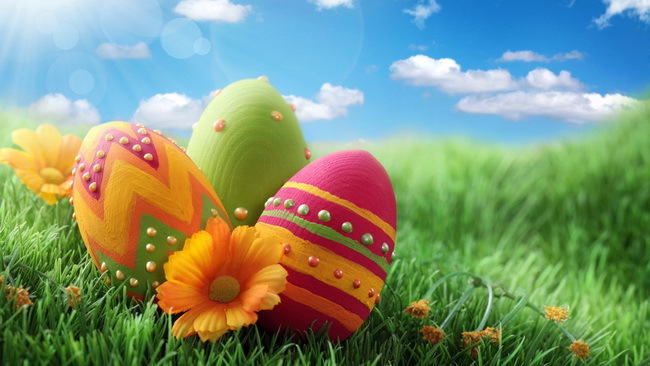 Different regions have different Easter celebration traditions. For example, in USA, people tend to paint eggs with different colors and designs and hide them in a bunch of random places so they can gorge on candy left by a giant magical rabbit to celebrate the resurrection of Jesus Christ. In the Christian tradition, Easter is the day Jesus was resurrected after being crucified and buried. But many Easter traditions today are centered on the arrival of spring, and have been melted with local cultures in different places. This list lays out the top secular celebrations of the first major holiday of spring. Easter Sunday in Argentina consists of consuming and sharing eggs as well as the special Easter cake, Rosca de Pascua. Tradition holds that people exchange eggs not only with their family, but also with friends and colleagues and the day culminates in attending mass followed by a big family gathering involving lots of food. 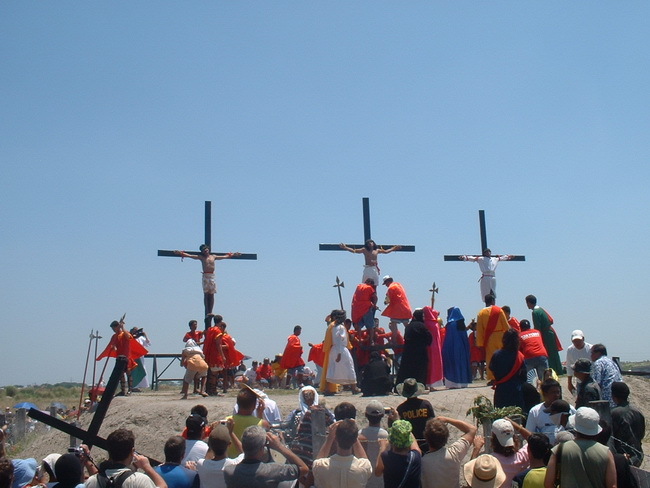 Argentinians tend to celebrate Jesus’ resurrection with a huge barbecue and a treasure hunt organized by the local governments in the main cities, so that everyone has a chance to participate. Corfiots, an island situated off the northwestern coast of Greece, doesn’t exactly follow the traditional Greek Orthodox Church’s Easter traditions. On Holy Saturday, the day before Easter, citizens in the city center drop water-filled clay pots over balconies onto the main streets. This tradition of celebrating by breaking pots goes back to ancient Venetians, who welcomed the New Year in a similar fashion. Visitors will notice the ornately decorated streets, shops and restaurants filled with all things Easter from bunnies to chocolate, painted eggs and even live baby chicks in some places. Good Friday is marked by mass. Easter Sunday is a huge celebration where absolutely everyone goes to church. After taking communion, the 40-day fast comprising a strictly vegan diet, is broken with a feast featuring lamb and lots of egg breaking. Get your hands on the delicious Easter sweets called Maamoul. These are little cookies made with a mixture of semolina and butter then stuffed with either dates or ground sugared nuts and dusted with icing sugar. What started out as a tradition of playfully sprinkling holy water onto unmarried women has, with time, turned into an all-out water fight that takes place on Easter Monday. It’s a little strange that the water fights take place the day after Easter, when families come together over a massive feast and wish each other health and happiness for the rest of the year. The Polish often have a lamb-shaped centerpiece for their Easter table, in the form of a cake or even butter. They also go all out with the eggs, passing around fried, boiled, halved, and stuffed eggs as an expression of good blessings. Apart from dressing up in one’s Sunday best and heading off to church on Easter Sunday, Easter in the US is, unsurprisingly, dominated by candy and chocolate. Various popular brands release a special line of sweet treats available only for the Easter period including Easter colored M&Ms, jelly beans, malted milk eggs, Cadbury Mini Eggs, Cadbury Creme Eggs, chocolate bunnies, Reese’s eggs, Peeps and Hershey’s miniatures with Easter colored wrappers. 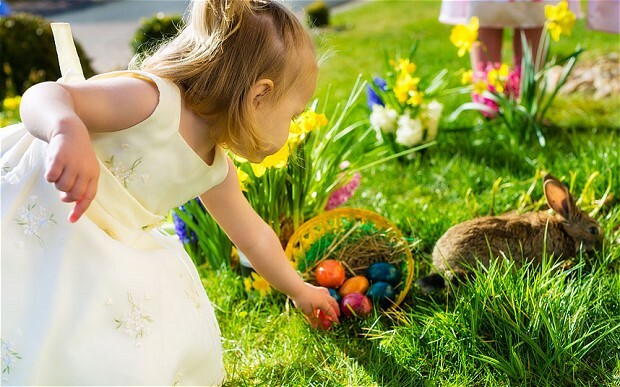 Those headed to Washington, DC can enjoy one other very famous tradition where the White House opens its lawn to kids for some Easter egg rolling. This tradition was first carried out in 1878 and has continued ever since. Other attractions on the day include a visit with the Easter Bunny and an afternoon of storytelling. Påskekrim, or “Easter crime,” is a tradition in which Norwegians read and consume “crime culture” during Holy Week. This tradition penetrates every channel and mode of communication: bookstores feature crime novels, newspapers run supplementary crime literature, and radio and television channels run crime shows. The connection between crime and Easter is somewhat blurry, but many believe it has to do with an ad placed in the newspaper in 1923 by a publisher promoting his author’s new crime novel. Since the ad appeared as a headline on the front page, fear was evoked in the readers and since then Easter has been associated with crime.